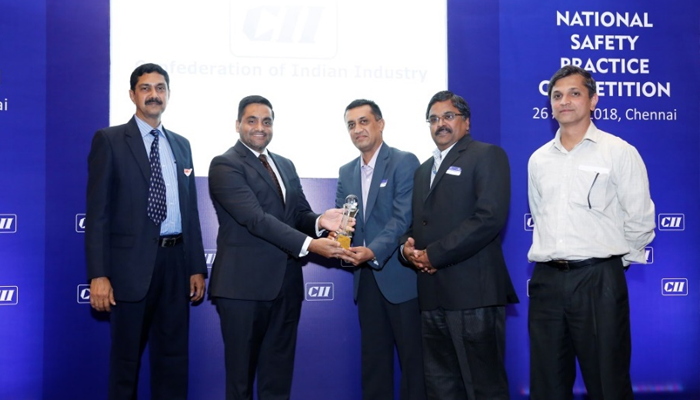 National, May 10, 2018- Keeping the importance of safety in workplace going strong, Tata Coffee Ltd., one of the largest integrated plantation companies in the world, bagged the first prize for Excellence in Workplace Safety at the 2nd National Safety Practices Competition 2018 conducted by Confederation of Indian Industry (CII). Tata Coffee won the award in the plantation/infrastructure category for its initiative by competing with several other manufacturing and service companies. Held at Hilton hotel, Chennai on 26th April 2018, the event witnessed a participation of 65 companies. Tata Coffee, in consultation with external consultants, devised customized PPEs for pepper picking (including FRP ladders) that has ensured an incident-free harvest season.